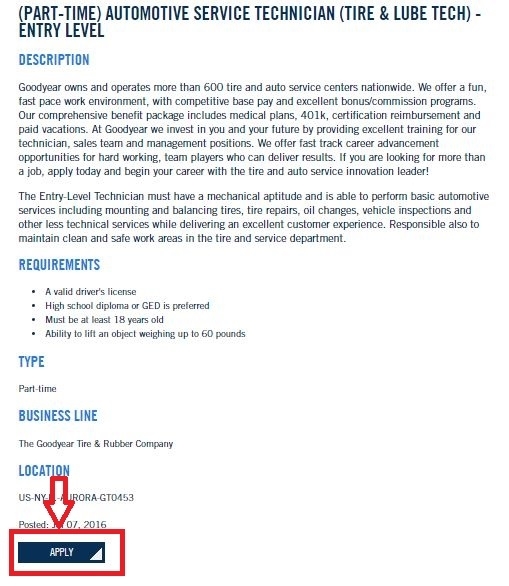 For job application at Goodyear, you need first to go to Goodyear Careers page - goodyear.com/careers. Click "Search Jobs" to turn to the jobs search page. Come to the jobs search Page. You may enter certain keywords to find a position. You may also click "change" button to select the business unit, Careers interests and State or Province to specify your search results. 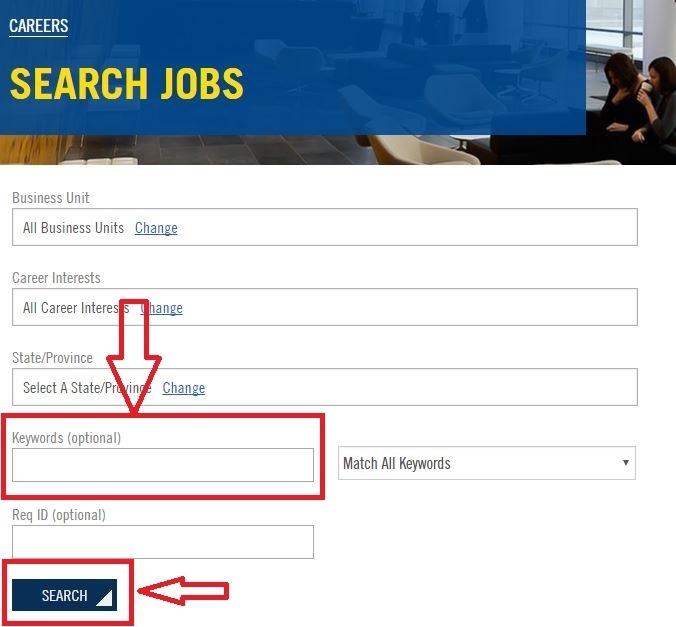 You will be shown many current job openings after you enter a keyword in the last step. 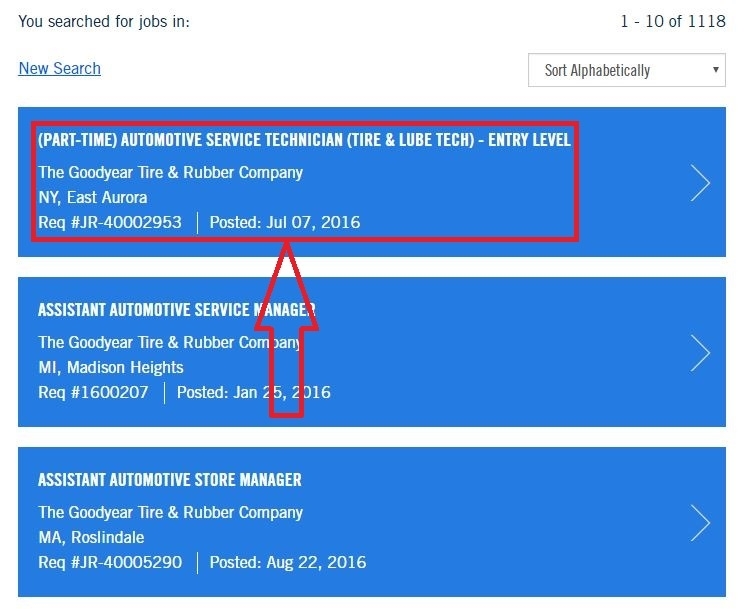 Let's take the part-time job, "Automotive Service Technician" as an example. By the way, if you can't find a job you prefer, you may start again by clicking "New Search". Please read this job description carefully before clicking "Apply" as there are job requirements, locations and something else you need to be clear of. 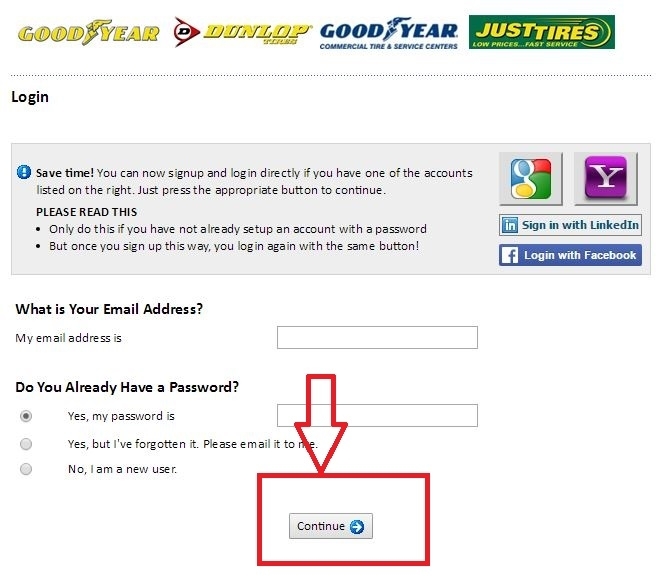 You are required to log in with valid email address and password. You need to create a new account if you are a first-time user. Click "continue" to go on with your application. 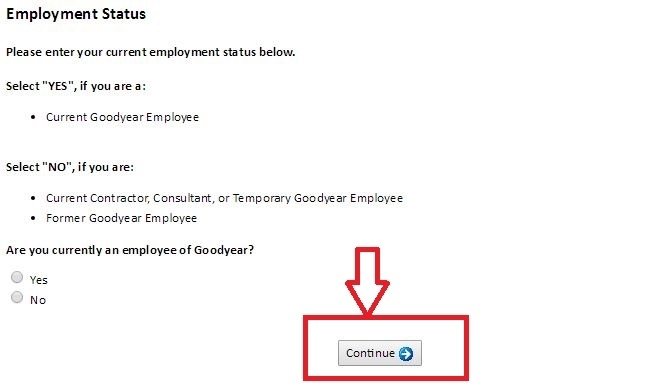 Check "Yes" or "No" to let Goodyear know that If you'are a current Goodyear Employee or not. You may upload your resume through the third party or from your local computers. 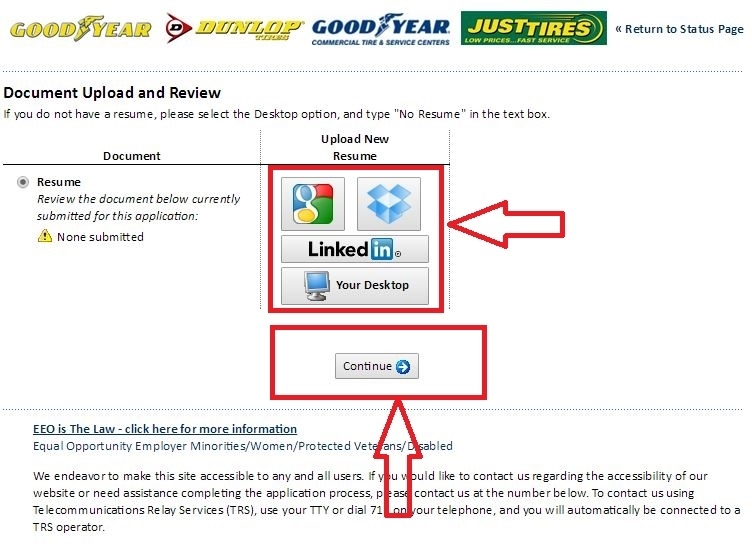 If you don't have a resume, please select the Desktop option, and type "No Resume" in the text box. Altogether there are 22 questions for you to answer. Those marked with an asterisk are required. You will need to claim your education and working experience, and also to accept some agreements. You may check your completion progress on the top of the page. Please review all the information and questions when you finish. Make sure your contact information is valid. 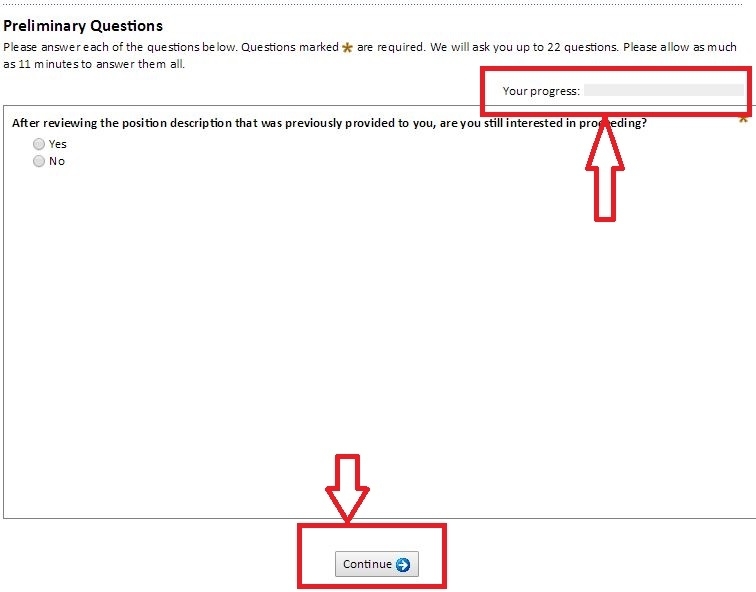 Please click "Apply" to send your online application and you will soon be notified for an interview by your employer if you meet their requirements. Click goodyear.com/careers to apply for Goodyear jobs online.